Contour edges enhance workers safety. Lift Tables comply with ANSI MH 29.1:2012 "Safety Requirements for Industrial Scissor Lifts." 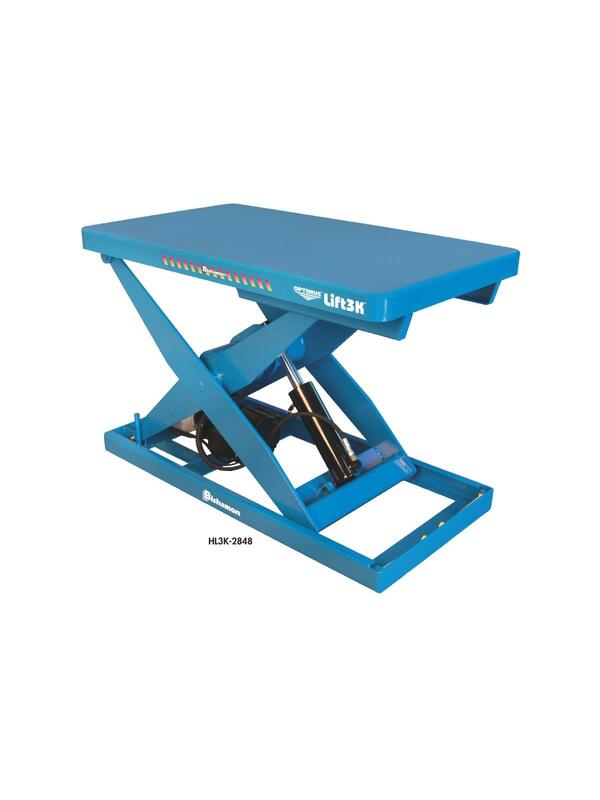 Lift Tables have a 115 volt operator control system, flow limiting valves, pressure compensated flow control at power unit, and hinged maintenance bars. Self lubricating, maintenance free bushings at all pivot points for long life. 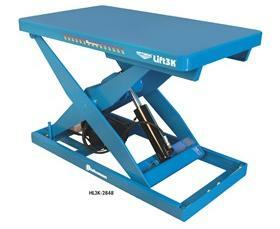 Unitized, compact, internal power unit and reservoir combination. Contoured platform corners for operator safety. FOB Shipping Point.